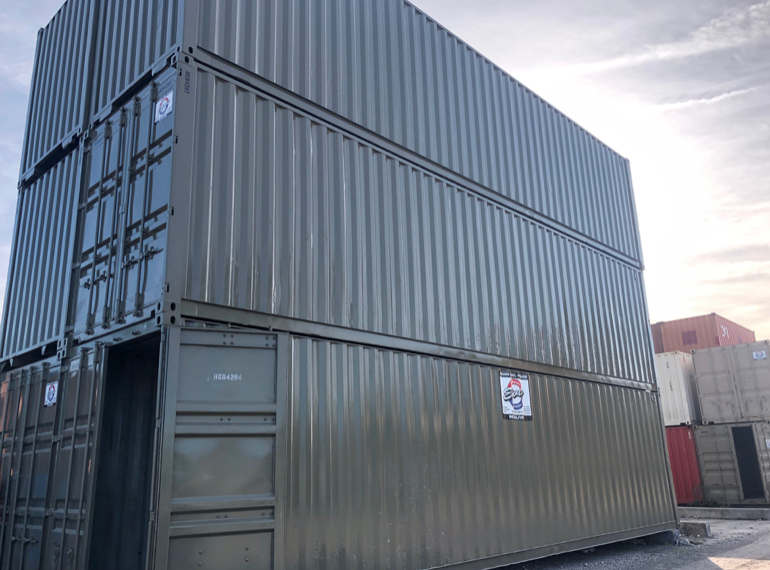 Whether you manage a small business or own a large-scale operation, a storage container for your business can make everyday tasks run much smoother. Choose the best on-site storage container rental company in Myrtle Beach and benefit in four major ways. Storage containers can be used for a variety of needs. Whether you need space for holding files, unused equipment, or excess inventory, a Myrtle Beach storage rental is the answer. The sturdy build of the storage containers means your possessions will be safe from weather, work site debris, and break-ins. Storage container rentals from Elvis Service Company come with a secure lock, protecting your valuable from outsiders. Traveling back and forth to an off-site storage unit can cost your business time and money. Having a storage unit at your workplace means you can easily access important equipment and forms to complete the day’s tasks. Maximize productivity and flexibility when the things you need are stored within reach. Storing machinery and other items at an off-site location means you’re limited to their business hours and may not be able to access your supplies when you need it. On-site storage also means you can rearrange your equipment and supplies as needed to fit your workflow. Remove and add supplies from the unit to meet the needs of your team. With Elvis Service Company, you can choose from 20- or 40-foot containers. Choose the size that best fits your needs and can grow with your business. Storage units from Elvis Service Company can be delivered directly to your worksite and available for use quickly. As your project or business expands, more units can be delivered for use. Meet the needs of your growing company with storage space that works for you. When you need fewer units, the storage facilities can be removed. The goal at Elvis Service Company is to make your Myrtle Beach storage container the ideal way to grow your business. When your storage container is delivered to your work site, have it placed in a space that is monitored by your security cameras. With on-site storage, you can keep your supplies safe and secure with a heavy-duty lock and add security features to your work site as you see fit. You’ll have peace of mind knowing your machinery and work materials aren’t scattered throughout the site for prying eyes to find. If you opt to have the unit shipped, the secure closing of the unit will ensure your materials arrive in tact. On-site storage containers in Myrtle Beach and the surrounding areas are ideal for retail, construction, and many other industries. Understanding the needs of your business, is our business. Elvis Service Company can create a secure space for your materials, documents, and machinery. Consider us your on-site storage container rental solution from North Carolina to South Carolina!